Modifications The pattern is top-down with an afterthought heel (they call it a peasant heel). I did mine toe-up with a wrapped short row heel and EZ’s sewn cast off. I picked this pattern because I wanted to find something other than a basic stockinette sock for the Trekking. I didn’t want something so patterned though that it would interfere with the pretty, subtle colors of the yarn itself. 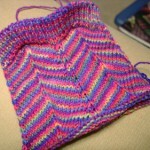 The slip stitch pattern did the trick. After knitting a repeat it was easily memorized, and it gives the sock just enough texture to keep it interesting to knit as well as look it (now that they’re done!). The book has some great patterns in it. Amazon’s view includes the back page which shows closeups of all 12 socks. At 14 bucks this book is a deal. There’s also a follow up book–The Sock Journal–that includes 12 more socks. I don’t have this one yet but you can check out the back page for closeups of the patterns as well. I did find the yarn to be somewhat splitty while knitting them, and although I could knit them without looking, I’d have to do a quick survey each row and note if any stitches had become split. I’ve already washed and blocked them and I noticed no substantial change in texture or gauge; the water remained clear even on the first wash. This yarn isn’t the softest sock yarn out there, but it’s not scratchy or uncomfortable either, and I expect the nylon content to make a good long-wearing sock. In case you’re counting, I’m now down to 5 socks-in-progress. Not a bad way to usher in my first FO of 2006. Soooo pretty! I’m such a purple girl. Wow, those are gorgeous! Lovely way to start off the year. Um, you call those calves? Heh. I could show you calves. Let’s just say that I muscle easily and I’m a cyclist. Those are great socks. The yarn and the pattern go together perfectly. Happy bright and beautiful for a gray and rainy day. They are fabulous! Man, I need to get started on some socks. I second Emily, great yarn and pattern combination! Your calves are tiny, and those socks are lovely. Oh I have the Sock Journal and not aware of the Sock Calendar! Thanks for the heads up. Your calves are not really that big … at least not bigger than mine! LOL! The socks are lovely. I love the subtle color variation wth the subtle texture. It works really well. 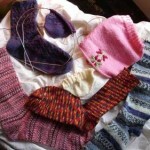 I’ve got about 5 socks in progress as well, and I even dreamt about knitting second socks to all my single socks. 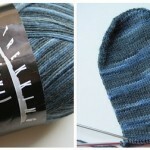 The sock obsession is taking over the knitting world! Hey… those are really cute. Love the color and the pattern. They look great. I love trekking socks, they’ll soften and wear long for you. I love the socks. Awesome! I have worn my Trekking socks a few times and they are so comfortable and are wearing really well. I have been converted from my original impression of this yarn. Those are lovely socks! Its great that you have finished them after so long! The yarn is beautiful. I also have to say that I don’t think you have big calves at all. Now if you want to see some big calves, com’on over to my place! I’m so glad to hear that someone else has a pair of socks that saw every season before they were finished. I keep looking back up to see if that really says 14 mos. I am not alone! Very Cute socks!! Pretty purple yarn too! That pattern is perfect for the yarn! Great job! I’m so happy to see another fan of the Rainy Day socks…I think some sock-knitters overlooked the pattern because the stitch is so simple to knit up :-). I designed them, really, because I wanted to use the oat stitch so I had to come up with a name that made sense..ergo, rain drops and Rainy Day. 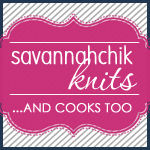 I’m a process knitter so, if there’s a stitch that I just HAVE to play with, it’ll become a pattern somewhere. Another of what I think are pick of the litter socks I’ve designed is the Autumnal Equinox, Modern Romance (because it’s droll with a meandering, twisty lace, Sock Therapy (maybe my fave because, again, I like the stream stitch) and Sweet Valentine because I love Lorna’s Laces sherbet color so invented a simple heart stitch to show off the pretty color. Thanks so knitting and showing Rainy Day, the 4th sock or so I designed if I remember correctly. You’ve motivated me to dig out that black cashmere yarn in the closet and the metallic graphite-colored seed beads and make some pretty socks for a friend’s Christmas gift. P.S. 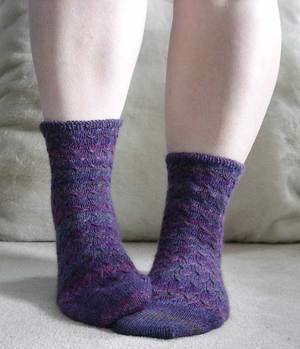 For any other sock-knitters, here’s one that’s sooooo simple to knit and really pretty, in my humble opinion. I used Mountain Colors weavers wool but you can whatever yarn you like….string a bunch of beads of the right size on the yarn then do a *K3, p1* ribbing and bead the purled stitches every 66h or 7th row. It’s fast, simple and surprisingly elegant. Hi. Eat a third and drink a third and leave the remaining third of your stomach empty. Then, when you get angry, there will be sufficient room for your rage. Waiting for a reply :-), Nimah.